#365DaysofLondonBaby – Day 7- Postman’s Park (and App!) | That's London Baby! Good morning, the first week of #365DaysofLondonBaby went by so fast! 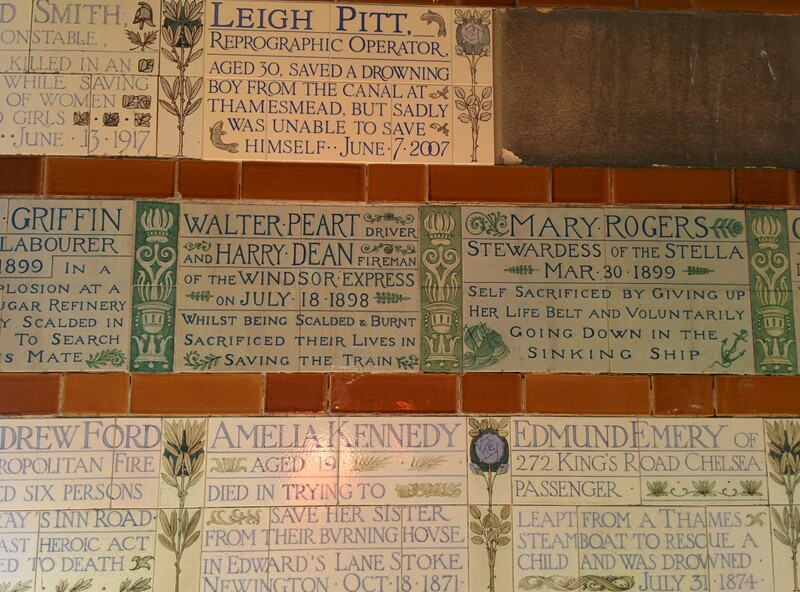 Time to close the week with a hidden gem – the Postman’s Park with its Watts Memorial to Heroic-Self Sacrifice. The park gets its name from the former Old General Post Office nearby and is located on the site of the old burial grounds and churchyard of St. Boltoph’s Aldersgate Church (thanks, Wikipedia!) . For those, who do not know where that is, its between the Museum of London and St. Paul’s Cathedral, bordered by Little Britain and Aldersgate Street. At 2500m2, its not bigger than an average supermarket (see the picture to the left, taken from Footprints of London’s website), but its still one of the biggest parks within the City of London, and certainly one of the most beautiful ones. It contains a memorial of the “Heroes of Self-Sacrifice” – people who lost their lives by trying to save others. The memorial consists of more then 100 wall tiles under a shelter, describing the names and deeds of those who died (see pictures). The latest addition is a recent as 2007, of Leigh Pitt drowning while trying to rescue someone. It is truly touching to take the time to read through them. There is even an app to let you explore all heroes – click here for further information. The park is open all year round from 8am to 7pm or dusk, whichever is earlier. 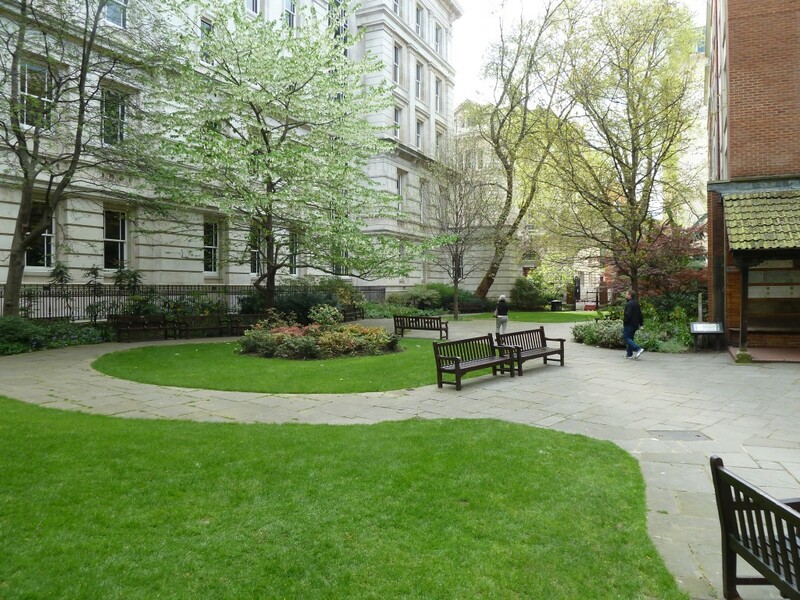 The City of London has a great website of the Park, which even features an Audio Tour of the park by a City Gardener. For the exact location of the park, please see below.